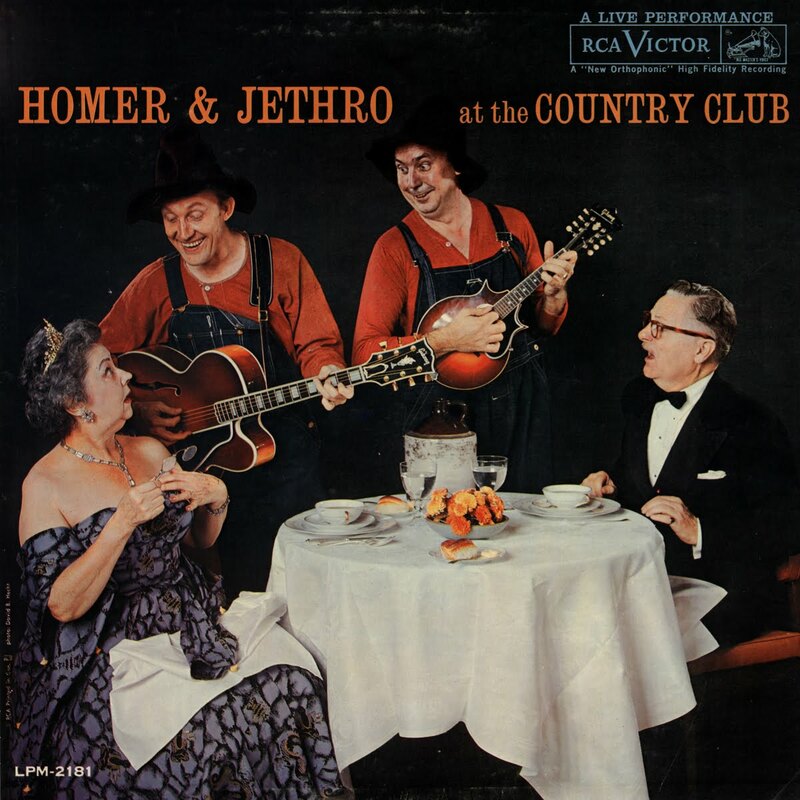 This wonderful album by my perennial favourites, Homer & Jethro, was recorded in November 1959 at the Hillwood Country Club in Nashville on the occasion of the 8th Annual Disc Jockey Convention. Released in January of the next year, it was the duo's first live album. It was also the first to include banter, which was as big a part of their act as music, zany or legit. This recording is a truly fascinating document of a Nashville long gone, when musicians, producers, deejays, and "industry types" from all over North America (and I suspect the world) pow-wowed in Music City for one wild weekend a year. The backup band is a group of "ringers" headed by legendary saxophonist Boots Randolph. Grandpa Jones, Jim Reeves and Jerry Byrd are in the audience. Oh, to be a fly on the wall! Includes scans of the excellent jacket, and labels. Each side is a presented as a complete mp3 file.